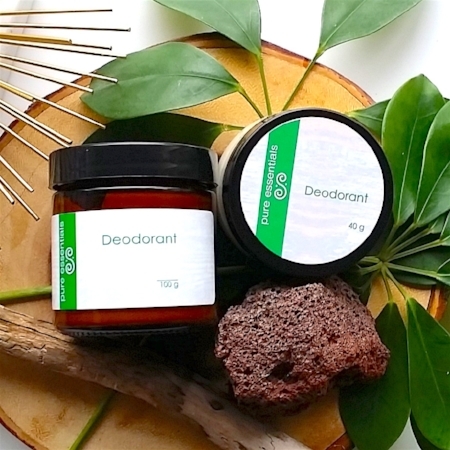 Have you ever tried switching to a all natural deodorant? I made the switch about two years ago after I learned some staggering statistics regarding the harmful things put into our deodorant and the relation to breast cancers. At first it wasn't good. I will admit. There is a couple week phase as your body sort of detoxes from the chemical filled stuff. But after that, life gets better. I promise! Since switching I have tried MANY natural deodorants. Some good, some just plain bad. I may however have found the ultimate deodorant from Pure Living. I am not even kidding people. I am a busy mama. I get up at 5:30 am to workout, rush kids to school, teach bootcamps and yoga all day and night, and add all the usual life of a mom (laundry, cooking, boo boo kissing and basically everything else am I right?). I have found in the past, about 1/2 way into my day, I start to smell a bit. I either just let myself smell or need to reapply. Tuesday evening I come home from teaching hot yoga, shower and sleep. Wednesday morning apply deodorant after being up early with a sick kid and missing the gym. Teach bootcamp, pickup kids, make lunch, teach yoga, do a fast and hard leg day workout, meditate, teach two more yoga classes, put kids to bed and pass out on the couch. Get back home to make breakfast and have coffee. I DO NOT STINK!!! Yeah re-read that. Seriously guys. I am 100% impressed. So I think it's safe to safe I 100% recommend this deodorant. And of course another side benefit? They are local to Edmonton! You can support our local city and get a great product. Win - win right? Check out the Pure Living webpage and check back on the blog here for a more reviews of their stuff coming!